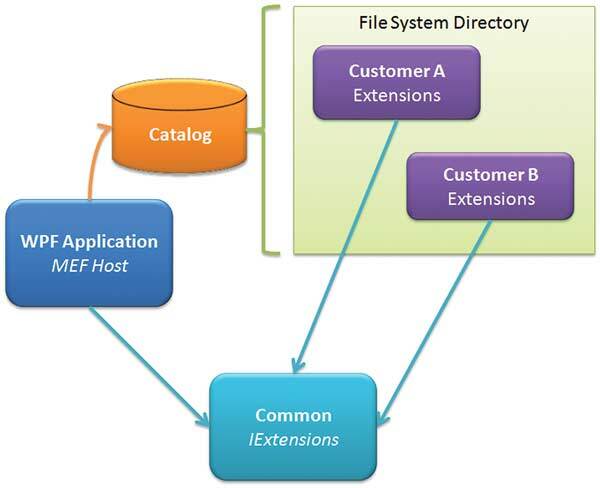 Working with MEF: Figure 1: Managed Extensibility Framework offers several catalog types. The directory catalog searches a file system directory for parts that match your import requests. This lets your users add extensions just by dropping assemblies into a specified directory.